The Cup will contest only 3 games: Gitadora Drummania Exchain, Sound Voltex IV: Heavenly Haven and Dance Dance Revolution A. – The qualifiers will be determined online and submissions will be via a Google form. – There will be 2 representatives from each country for each game. – The representatives will be flown over to Indonesia to take part in an offline showdown! 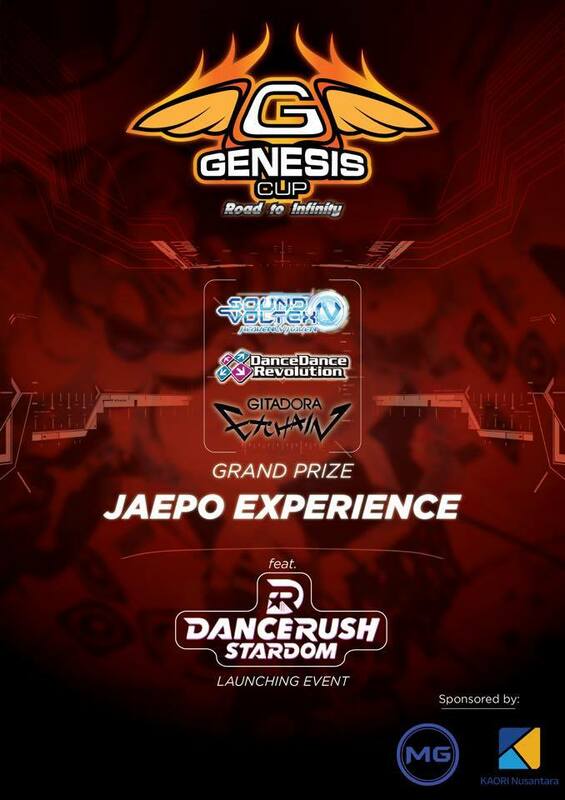 – The overall winner of each tourney in the Indo offline showdown for each game will receive a trip to Japan to attend the Japan Amusement Expo (JAEPO), where they can watch the Konami Arcade Championship. Q: What countries will be joining this event? A: Thailand, Indonesia, Singapore, and Philippines. Q: Where and when will this event happen? Q: Do you need a passport in order to join the event? Q: Are all expenses paid (Plane ticket, accommodation)? Q: What arcade games are participating? Q: Is this an online event or an offline event? Q: EX score or Normal score? Q: Can players submit entries more than once? A: Yes, submissions are open until November 11, 2018. Q: How are we going to participate? Where is the link for submitting my scores? Q: How am I going to submit my score? A: Take a photo of your score and upload it in the link of the game you’re participating provided above.